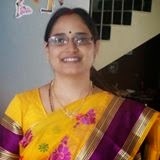 Hi, Good Morning, Thank you, friends and viewers. 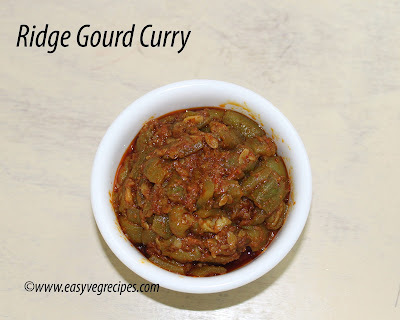 Today I will post on how to make Ridge Gourd Curry recipe. Ridge gourd, though not liked by many but is a healthy vegetable. It has a lot of fibers in it. It is another recipe which is very easy to make. It may take a little more time to cook as the vegetable contains water in it. Whenever I have to cook a curry without onion and garlic it also preferred among the others. A very simple curry which needs very less ingredients. If the cumin seed powder is readily available in the pantry then making this curry becomes more easy. That is also one reason I am not posting step by step pics for this recipe. We can use store bought cumin seed powder or we can prepare it instantly by just grinding a spoonful of cumin seeds along with red chilli powder. 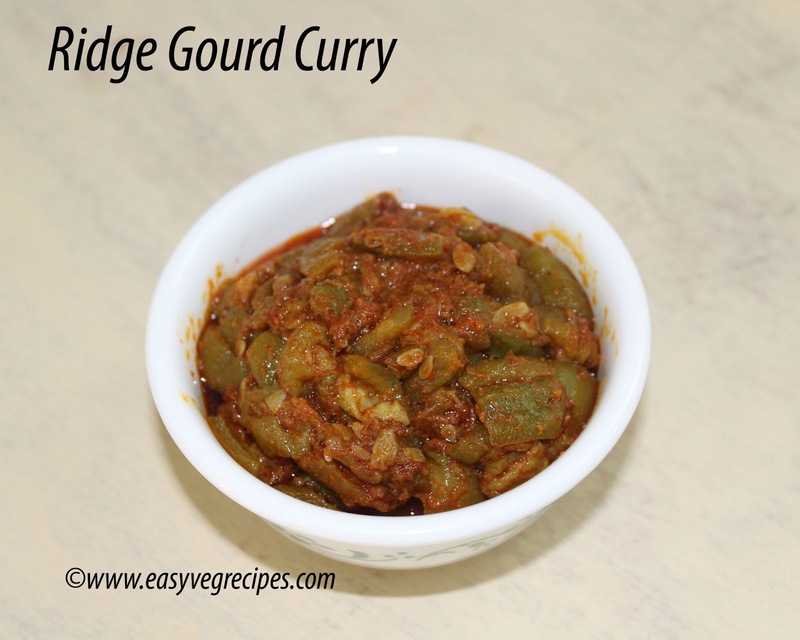 curry with ridge gourd and cumin seed powder. Peel and cut the ridge gourds into small cubes. Wash them throughly and keep aside. Heat oil in a kadai or pan, slowly drop chopped vegetable in it. Take care while dropping, oil may spill all over. Cover it with tightly packed lid. So that the water in the vegetable oozes and allows it cook smoothly. If we cook like this way we need not add any water to it, otherwise we may have to add water. Adding water to the curry doesn't make it tasty. Let the curry cooks completely, if we mash a piece of the vegetable it should be easily mashable and should be smooth. Once it is cooked, add cumin seeds powder and red chilli powder. Mix it well. The curry should leave out the oil, if it is not then add a spoonful of oil to it. Cover it and cook for two minutes. Serve ridge gourd curry with hot piping rice. For more curry recipes click here.Thank you for visiting my blog. Hope you liked all my recipes. Any feedback and comments are appreciated.